Gameon is a Premium WordPress Theme For Online Games with a fully responsive design, that will work perfectly on desktop computers and mobile devices. 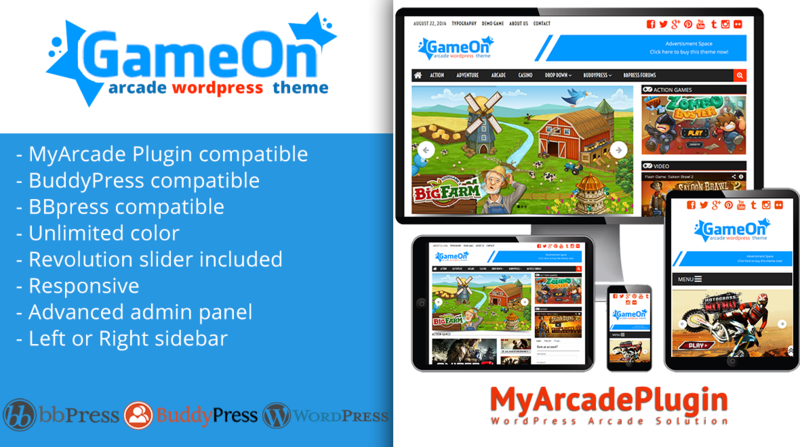 Gameon theme for WordPress is stylish, easily customizable and simple. Make it yours with custom menus, different sidebars, slider, flexible layouts and backgrounds. Live preview images from http://www.flickr.com/creativecommons/. Important: Images shown in Live demo are NOT included with the download. They are only for demonstration purpose.